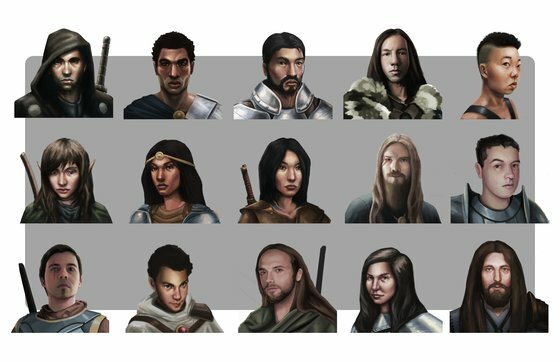 Free Gamer - Open Source Games: Crowd-Funded Open Source RPG Portraits Set DONE! Justin Nichol finished the Kickstarter-crowd-funded portrait marathon! The art has been uploaded here to OpenGameArt. Back in December 2010, the project was funded with USD 2,567 (of at least USD 1,500) to make 30 portraits. 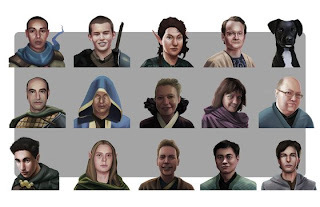 Now all 30 portraits of the backers that sent him model photos have been finished. The remaining five backers have been asked to get in contact with the artist. Best via Kickstarter. Kickstarter will take a fee of USD 128.35 (5%). Justin has a blog you can follow.